We’re not all built to climb hills fast so if you struggle don’t worry, you’re not alone. Apart from the obvious cutting out the cakes and fats and losing weight, there are a few things you can do to help make climbing less daunting. It’s a good idea to know what hills your route involves. You’ll no doubt know where the climbs are in your local area so can plan your routes accordingly but it’s anywhere different that usually causes surprises. If you’re riding somewhere new check a map or better still do an internet search for the terrain in the area and if there are any beasts in there. Forewarned is forearmed so you can plan your distance, time, kit and nutrition to cope with the hills. A good idea is to speak to people who have ridden the climbs you’re planning, especially true for big overseas adventures or some of the big UK events, as they will give you tips on what to expect and how to get over them. Professional riders make climbing look easy and are often in the big ring unless it’s super steep. For us mere mortals the big ring is only for flatland. Don’t be afraid to fit lower gears. A compact on the front with a 34 inner ring or even a triple – they’re very lightweight these days – will get you over almost anything. 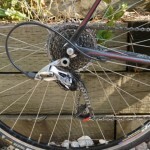 Similarly with the rear cassette, fit one with a large lower gear of say 27, 28. If you’re going to very steep terrain a mountain bike cassette with over 30 teeth will see you happily spinning upwards. If fitting a lower ratio rear cassette make sure your rear mech and chain can handle the extra teeth and you can use all the lower gears. Don’t be afraid to fit a large cassette. Once on a climb, don’t go into the red too early or you’ll pay for it later. Learn to pace yourself and ride at a speed or rate you are comfortable with. If you know it’s going to be a long one then settle into a rhythm you can sustain and spin away. Keeping a high cadence in a low gear may not get you to the top any quicker but will lessen the strain on your muscles and should hopefully help prevent you from cramping up. Climbing seated in the saddle is the most efficient way to climb so it’s worth spending time working on a position where you can stay seated and get the power down comfortably if you can. Getting out of the saddle is more effective but uses more energy but if this is more comfortable for you then don’t worry about what anyone else says. Keep a constant look out for changes in gradient or surfaces and adjust speed, cadence or position on the bike accordingly. This also helps with gear changes as changing before a steep part or loose surface means you are not grinding and potentially breaking components or losing traction on the worst bit. Climbing burns fuel rapidly so make sure you have eaten properly before the climb or are having something light on it if it’s a long one. Hills can really take it out of you very quickly so don’t be afraid to fuel up before hitting them. Bring extra food as you will need more on climbing days even when the hills stop as you’ll need to replenish glycogen stores to keep you going and get you home. Don’t avoid hills on your training route even if you don’t like them. Train your weaknesses as well as your strengths so keep one or two in your routes for training or as small tests. 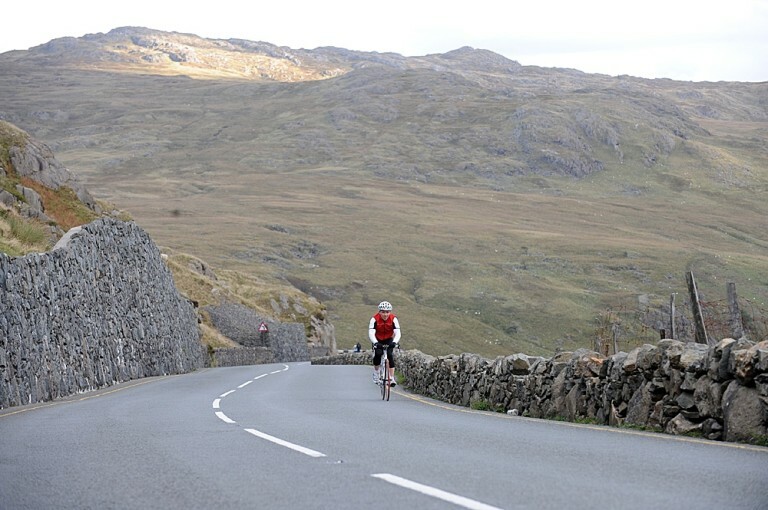 Riding with better climbers will bring you on much quicker and give you more of a challenge. Don’t be disheartened if you keep getting dropped as you’ll soon start to see improvements and start to challenge others. If you are riding in a group and not confident of your climbing then start the climb at the front and ride at your own speed rather than try to keep up with others. If you do drift back you will go through the group but stay in contact rather than at the start at the back and fall behind from the start. Group rides in the hills are excellent training. If you are spending a day in the hills or planning a hilly ride then don’t get hung up on distance but rather concentrate on time spent on the bike. It’s amazing how much longer a hilly ride will take so if you’re planning a big one with hills be prepared for a long day in the saddle. 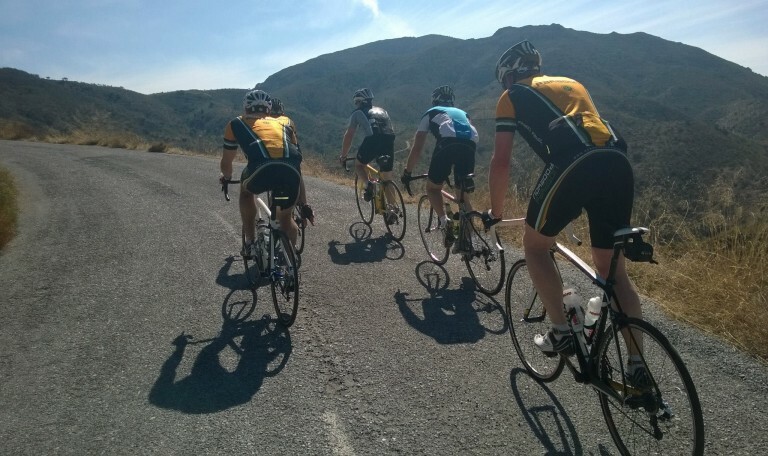 On a recent training camp in a very mountainous area of Spain my club mates came back way more fatigued than the usual Mallorca week despite doing less mileage but more time. They were all flying once they recovered though, even the non climbers, which shows the hill training works whether you like them or not! Tagged bike setup, climbing, how to, skills, technique, training. Bookmark the permalink.